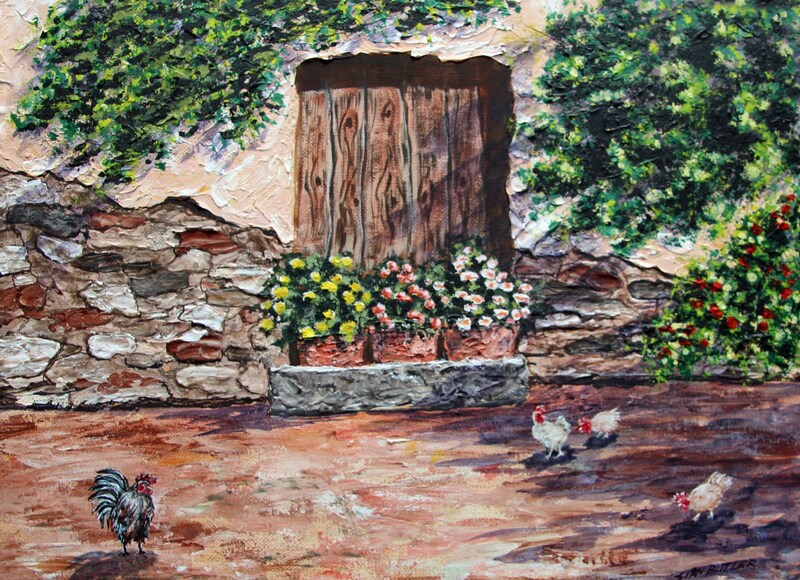 Australian homestead painting by Sian Butler. 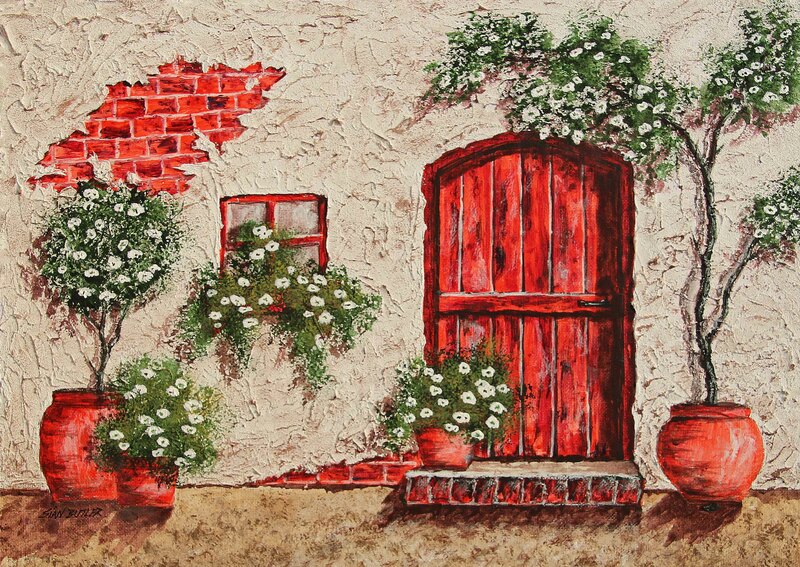 Doorway paintings by Sian Butler. 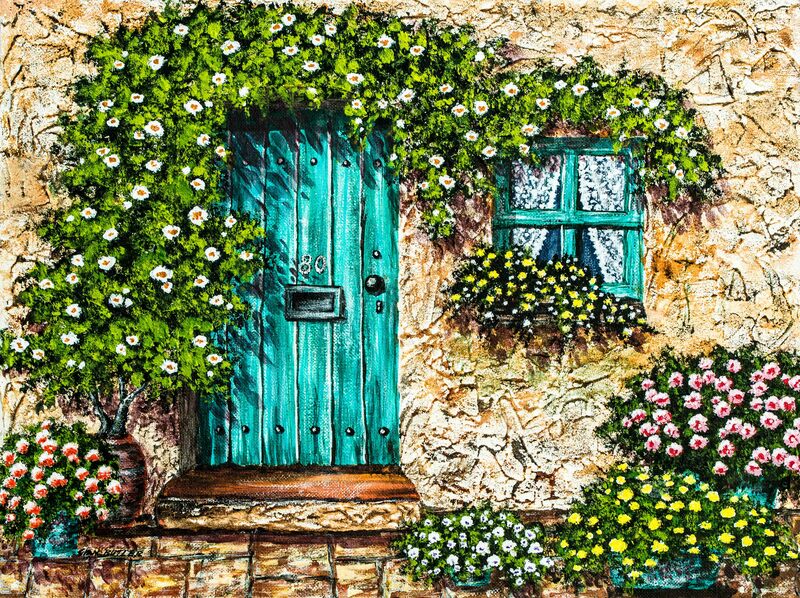 Paintings of doorways have become a popular genre in their own right, and usually have many textures requiring skill in the use of multiple artistic techniques. They are useful as subject matter to experiment with new techniques and for art lessons. 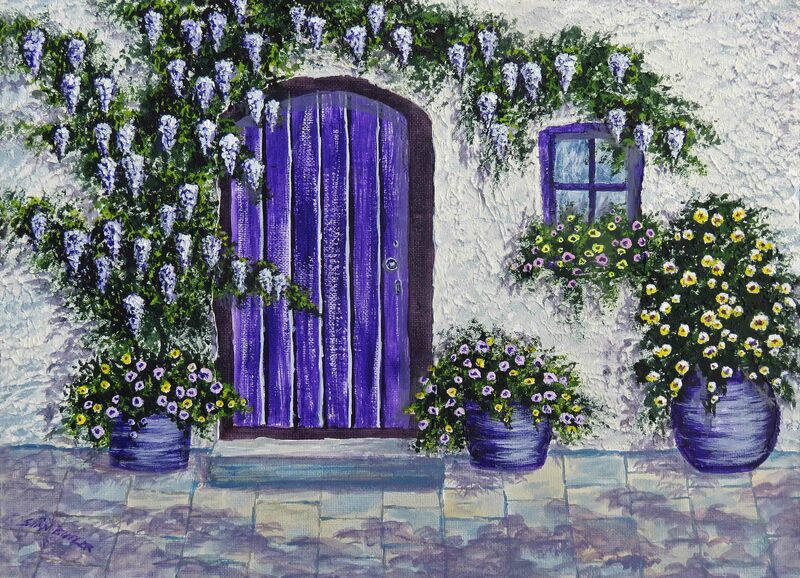 Sian says that to her doorways are a symbol of choices in life. We can choose to go through a door or not, with its attendant consequences. We can also make choices about what we let into our lives… open the door to some things, and close the door to others. 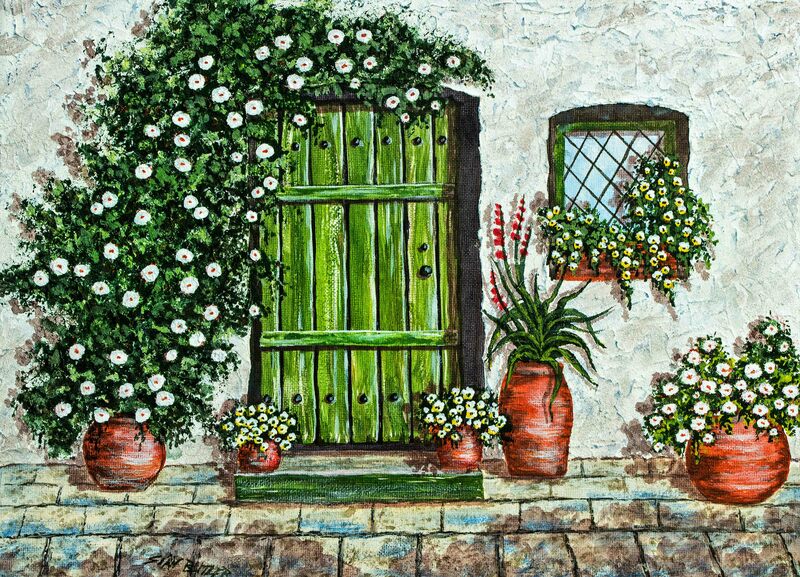 In my opinion the most important choice we make in life is whether or not we open the door to Jesus Christ and invite Him into our lives: “Behold, I stand at the door and knock. If anyone hears My voice and opens the door, I will come in to him and dine with him, and he with Me.” Revelation 3:20. 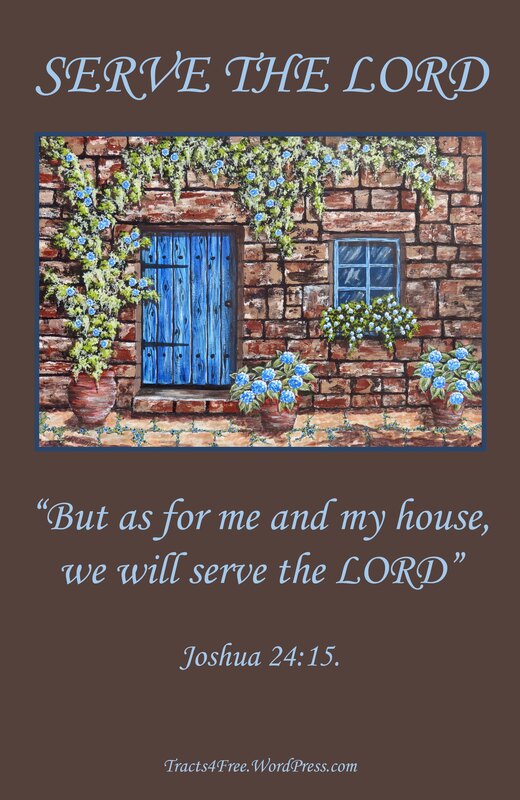 I have added text to some of Sian’s doorway paintings to make them into Bible verse posters. The paintings and posters are free to download and print or photocopy for personal use but not commercial use. Enjoy! 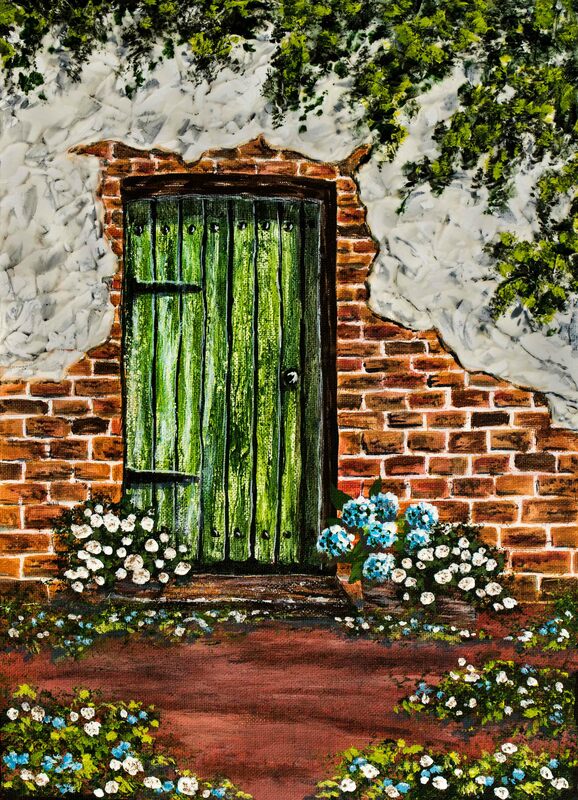 Turquoise Doorway painting by Sian Butler. 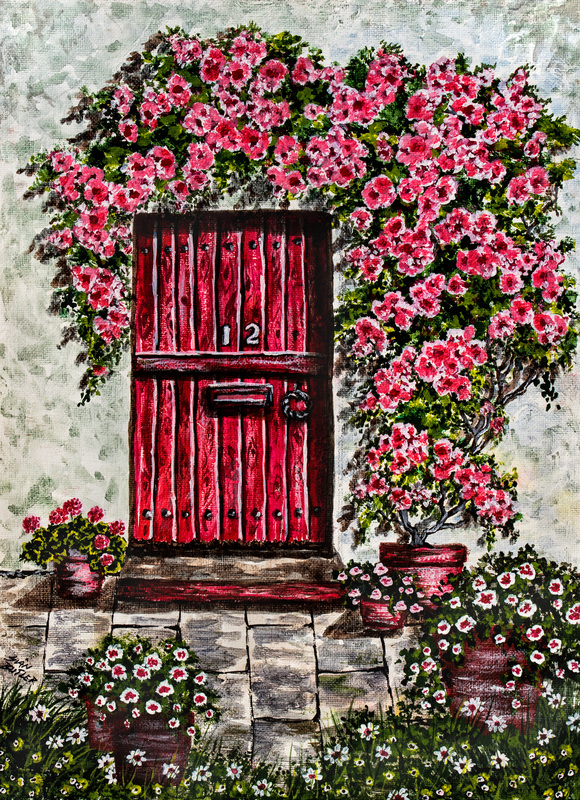 Pink Doorway painting by Sian Butler. 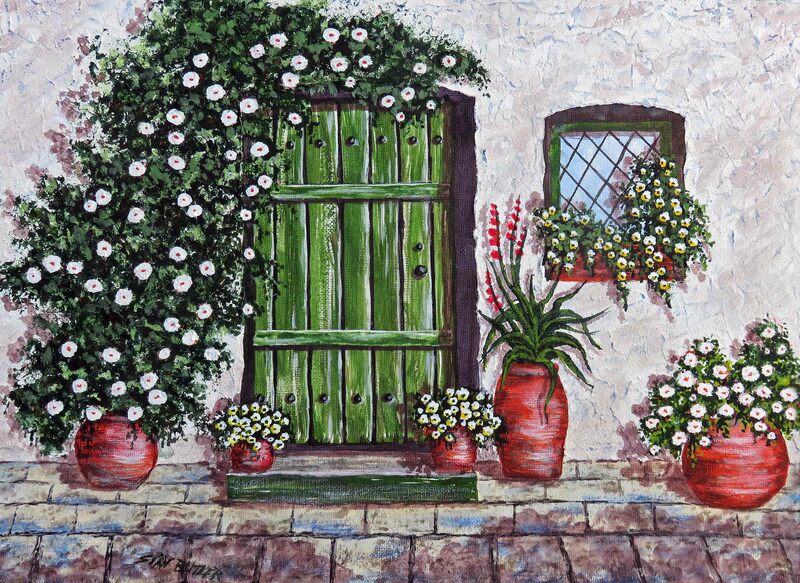 Green Doorway painting by Sian Butler. 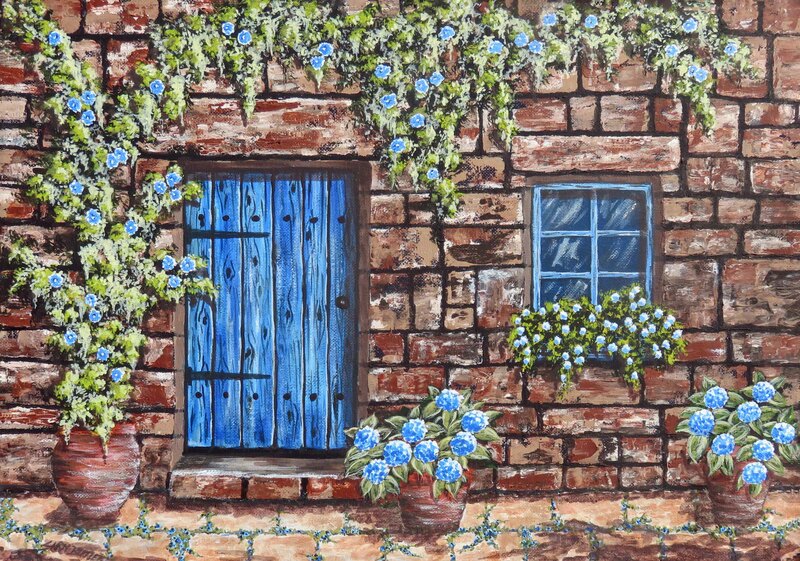 Blue Doorway painting by Sian Butler. Rustic Doorway 2. 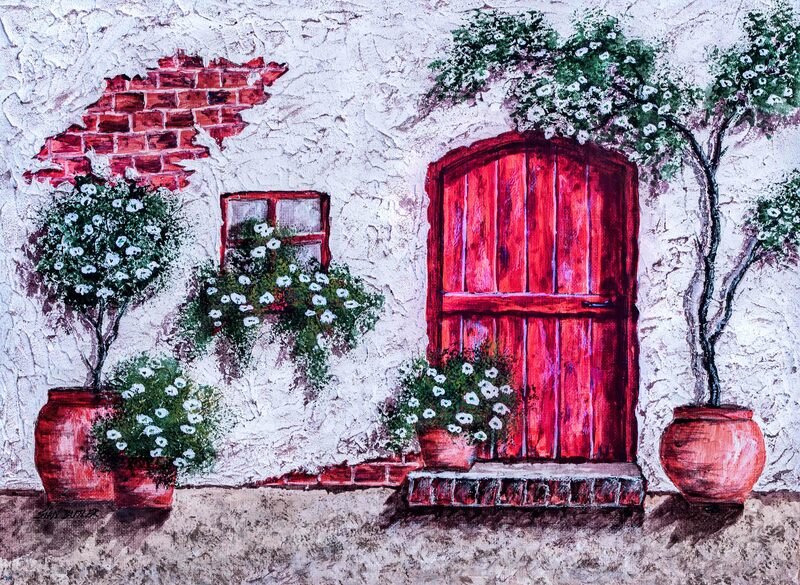 Acrylic painting by Sian butler. Rustic Doorway. 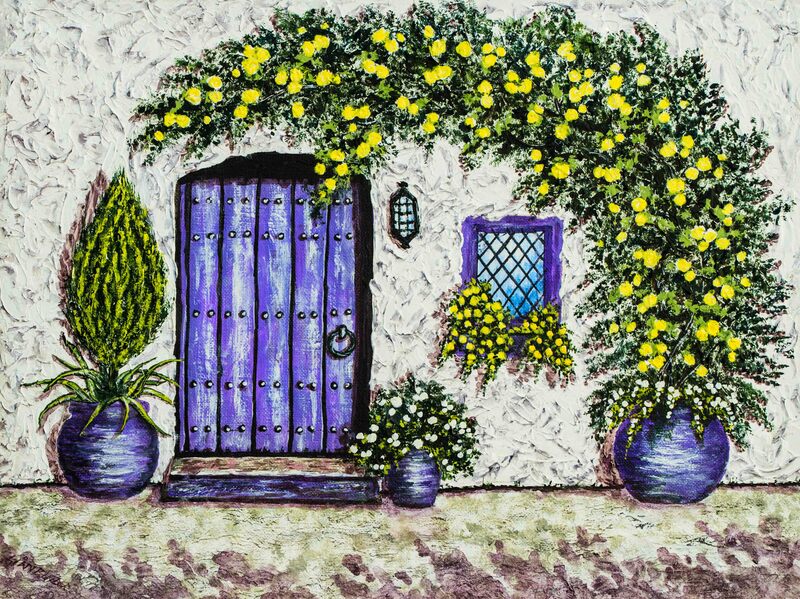 Acrylic painting by Sian Butler. 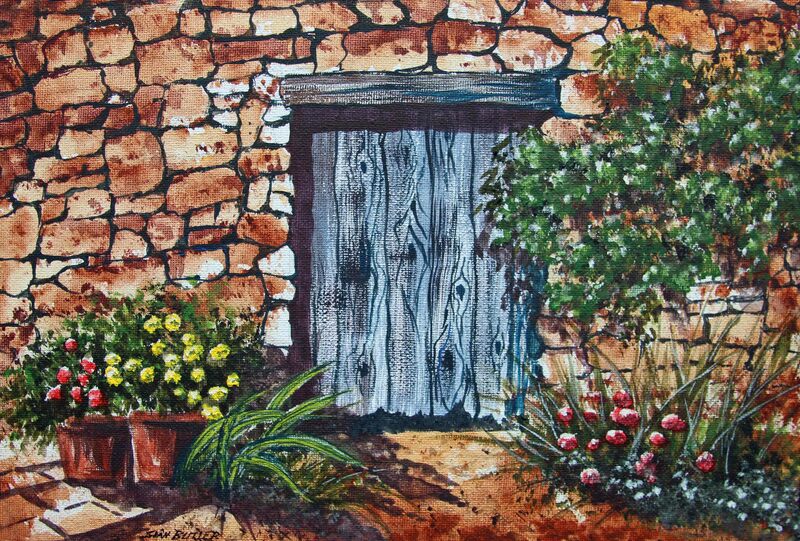 Rustic Doorway 1. Acrylic painting by Sian Butler. Painting by sian Butler. I have modified this one to make the colours more like those associated with Christmas, so that they can be printed and made into Christmas cards. 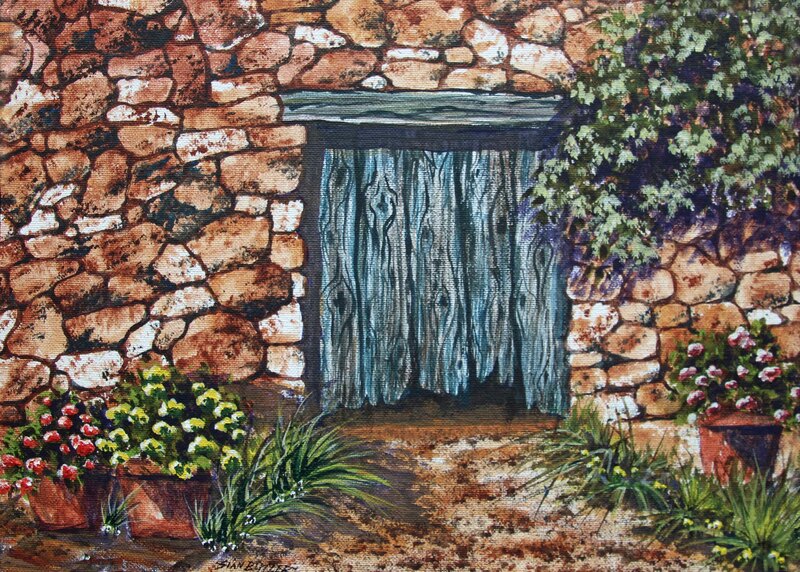 Australian homestead painting by Sian Butler. Acrylic. Australian homestead. Acrylic painting by Sian Butler. 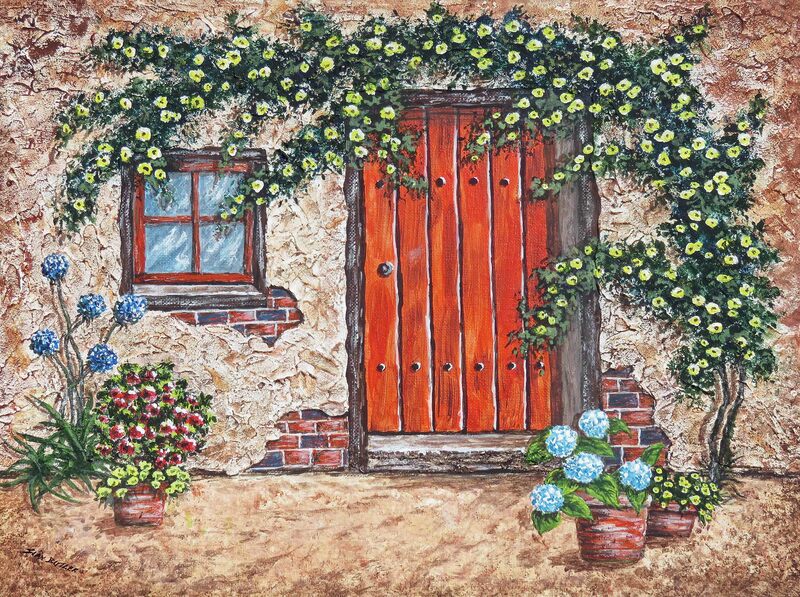 Cottage painting by Sian Butler. Doorway poster by Sian Butler and David Clode. 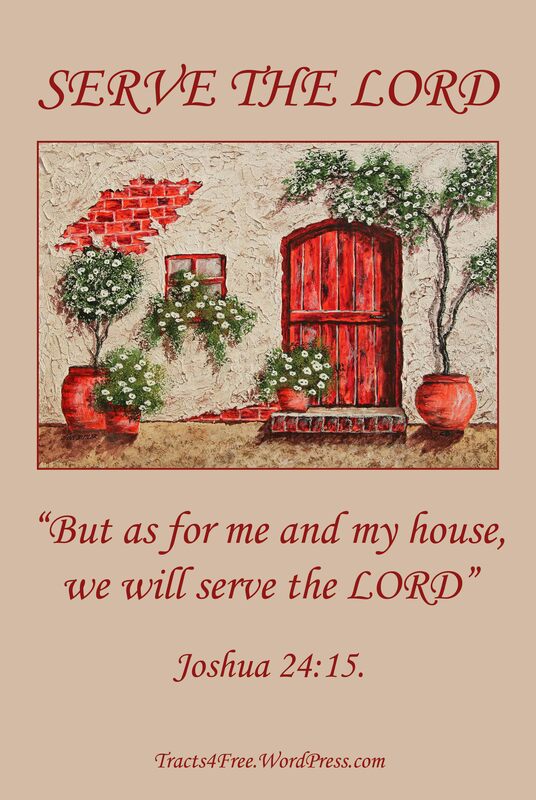 “Serve the LORD” Bible verse poster. Joshua 24:15. Painting by Sian Butler, poster by David Clode. 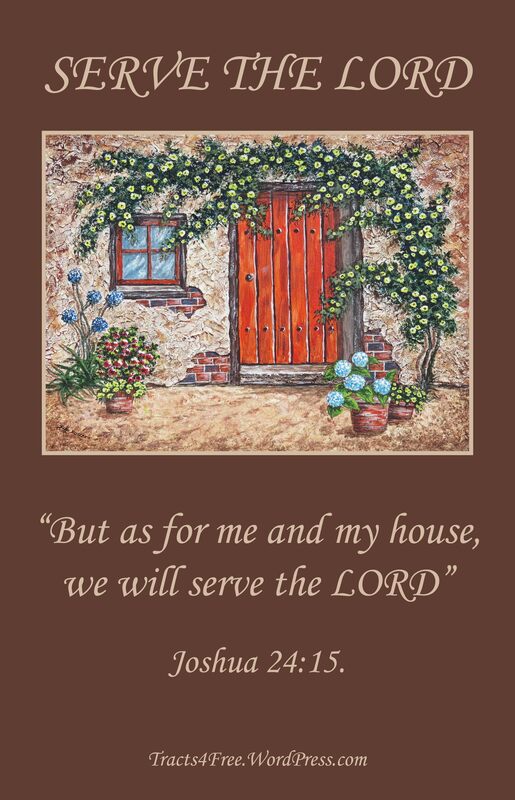 “Serve the LORD” Bible verse poster. Painting by Sian Butler, poster by David Clode. Joshua 24:15. 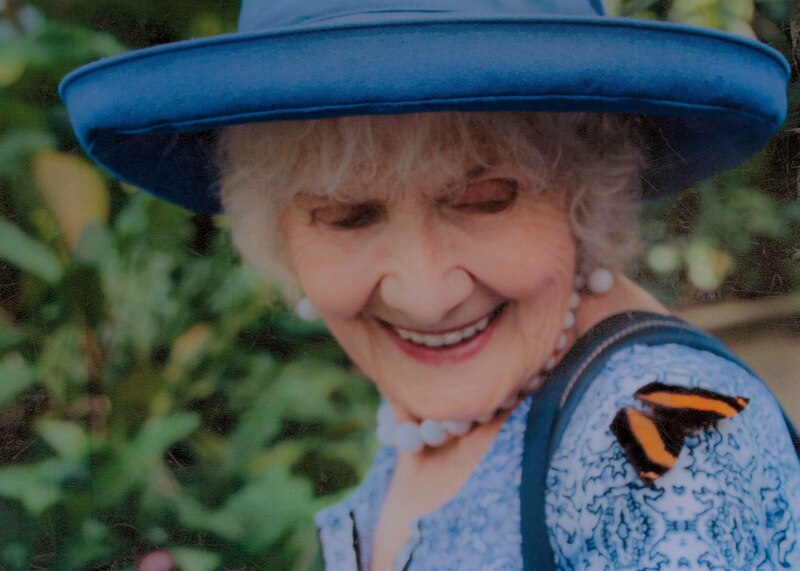 Thank you Sian for making your beautiful paintings freely available for all to enjoy.